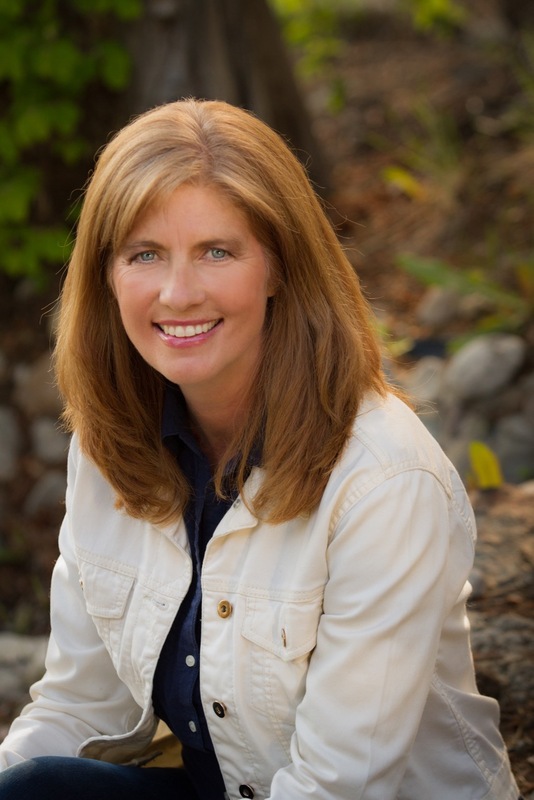 Today I welcome Kristina Stanley, author of The Stone Mountain mystery series and other books of both fiction and non-fiction. Glad you could stop by, Kristina! Avalanche: On a cold winter morning, the safe at Stone Mountain Resort is robbed, and Kalin Thompson’s brother, Roy, suspiciously disappears. As Director of Security, Kalin would normally lead the investigation, but when her brother becomes the prime suspect, she is ordered to stay clear. The police and the president of the resort turn their sights on Kalin, who risks everything to covertly attempt to clear Roy’s name. As threats against her escalate, she moves closer to uncovering the guilty party. Is Kalin’s faith in her brother justified? Or will the truth destroy her? 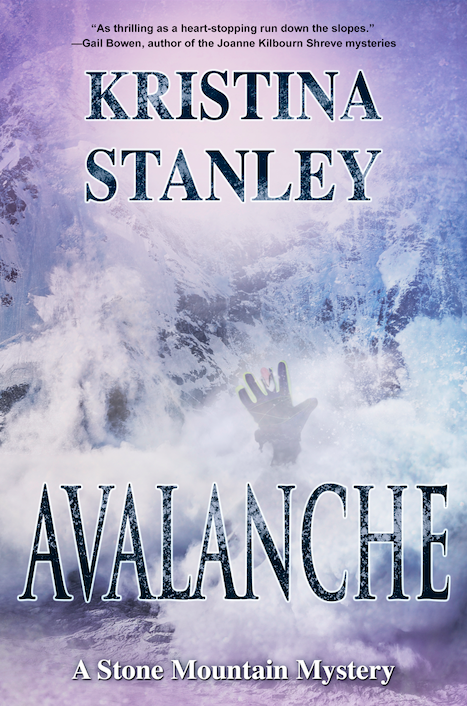 Avalanche is for mystery readers who like a little it of adventure along with the story. Tell me about the setting of your book—how did you choose it, what kind of research did you have to do, why did you choose it? Avalanche takes place in Stone Mountain. A mountain as deadly as it is majestic. I used to be the director of security at a ski resort in the Purcell Mountains. That job was my muse and inspired me to write about life in an isolated mountain resort. This was the first novel I wrote. After working with a literary agent, we decided together it belonged as the third novel in the Stone Mountain Series, so I rewrote the story to fit later in the series. If your book were made into a movie, who would you like to see playing the main characters? This is hard. Kalin Thompson would have to be played thirty-something, fit actor. She’s tender yet tough, and I’d like an actor who can portray those characteristics. Tell me about your other books. Descent and Blaze are the first two novels in the Stone Mountain Series. I’ve also written Look The Other Way, a mystery novel that takes place in the Bahamas, and I have just finished receiving feedback from my beta readers. I’ve also written The Author’s Guide to Selling Books To Non-Bookstores, to be released May 28th, by Imajin Books. This is my first non-fiction title. Are you in one or more critique groups or partnerships? I have five beta readers. I live in a small community in the Purcell Mountains, and there are no writer groups here. My beta readers all have different skills. One is great on checking character motivations, another on inconsistencies in the story line, another is a fabulous proofreader. I ask all my beta reader to mark in the margin when they think they know who the killer is. I also ask them to tell me when they skim. These are very important areas for a fast paced murder mystery. That depends if you include blogging in this question. If you do, then yes. But I don’t write stories every day. When you read a book, what authors do you like best? What genres do you like best? Where would you like to go more than anywhere else on earth? I’ve been to every province in Canada except for Newfoundland. I’d like to go there one day. Once you’ve finished your first novel, start writing the second one. Publication takes a long time, and it’s great if you have a second book ready after your first one is out. It also keeps you writing instead of waiting to hear back from wherever you’ve submitted your novel to. I loved watching World War Z. Very scary, but not real. I actually hid under my coffee table during the scary parts. Pretend villains are much more fun to watch than real ones. Alien was also one of my favorites. I would tell myself not to throw away anything I wrote. While in my thirties, I wrote the start of a fantasy novel. I also wrote a murder mystery that took place in Aruba. For some reason, I didn’t keep this work. I now wish I had. I’m sure it wasn’t great, but I’d be curious to see what I’d written then. Who knows? Maybe I could have rewritten the stories. Where can readers connect with you? I’m on Facebook (https://www.facebook.com/KristinaStanley.Author/), and twitter (http://www.twitter.com/StanleyKMS), and my website is http://www.KristinaStanley.com). I love building my network and am good at following people back. Thanks for asking. Descent and Blaze are for sale on Amazon world-wide. Avalanche will be published by Imajin Books in June. Descent will be published in Germany by Luzifer-Verlag later this year. The Author’s Guide To Selling Books To Non-Bookstores is available for pre-order on Kobo, Amazon, iBooks and Google Play. It will be up shortly and Smashwords. Thank you for visiting Reade and Write to answer all these questions! I enjoyed the interview. This entry was posted in Interview and tagged adventure, Avalanche, Blaze, books, Canada, Descent, Kristina Stanley, mystery, novels, Stone Mountain, Stone Mountain mystery series, The Author's Guide to Selling Books to Non-Bookstores. I can’t wait to start reading Kristina’s books- they sound exciting. I noticed an email from Amazon this morning in my inbox about the book Blaze by Kristina. Amazon knows what I’m looking for! All around! 🙂 Glad you stopped by! This was a fantastic interview, Amy. I loved your questions. It was lovely getting to know more about you, Kristina. I had to laugh when you said you hid under the coffee table. I use a pillow or run to the kitchen. Hahaha! When my sons were children they would have loved it if I had done that. Kristina, I’m happy to meet a new-to-me author. And I looked at Amy’s post on your site. So you got two comments from me! I like your cover and that you use beta readers. Maybe we can “chat” privately about beta readers. Thanks for stopping by, Maggie, and for leaving your comment! I think Kristina’s books sound great- what a treat to have her on Reade and Write today! Sounds very interesting! I may just have to add this series to my TBR, which is getting long again! Hi, Sharon. I love to be added to a new TBR pile. Thanks! I’m definitely adding Kristina’s books to my list. They sound like they’re right up my alley. I hope you’re having a beautiful day. Thanks for visiting! Fun to find out how a writer’s background contributes to their stories–security at a ski resort, cool! Also interesting the first written story was moved to third in the series. Great interview! And those were just two of the cool things about Kristina’s interview! My favorite part was learning about how she uses her beta readers- I told her I would be stealing a few of those ideas for my next round of beta reads. Thanks for stopping by! HI Amy, Beta readers are the best. They do so much work for an author. I couldn’t write without them. Nancy, thanks for reading. I loved working at a ski resort. Each day, I’d arrive at work ane never really know what I would be doing that day.